Let's start with Green Lantern. As Crisis began, John Stewart was growing into his role as a Green Lantern. In issue #188 of the Green Lantern title, John actually "outed" himself... removing his domino mask, and going public. JF did ask for Hal to turn rebel, well... Hal doesn’t see a change of attitude, however, we do find ourselves with a rebel lantern. Steve Englehart brings back Guy Gardner in Green Lantern #196. It may be argued that this book was in the midst of an identity crisis around this point. 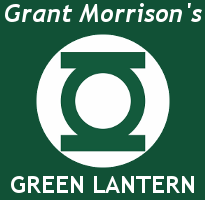 Following the Crisis, it was re-titled Green Lantern Corps and featured several lanterns, rather than just Hal or John. It is somewhat commonly known that Hal Jordan is a notable absence from Crisis on Infinite Earths. Hal does not make a single appearance in the maxi-series. Now, onto ol' Barry. I cannot find anything to substantiate this, however it appears as though everyone figured out that it would be the Flash who would "bite it". 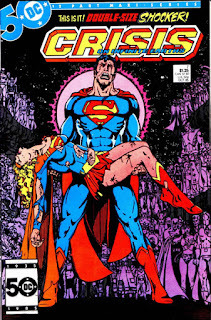 I'll need to do some more digging to see if it was common knowledge that there would be significant "big hero" deaths. 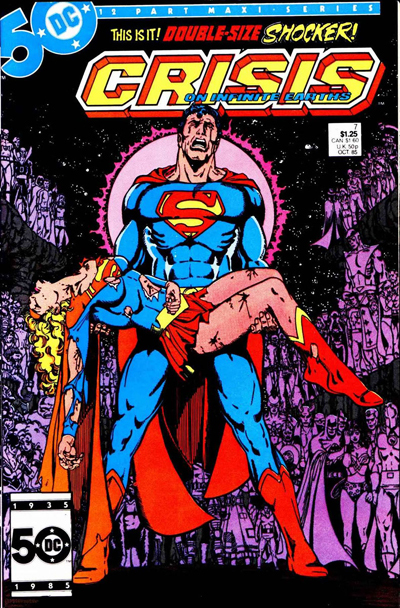 His own series continued well into the Crisis before ending with issue #350 (which arrived in shops the same month as Crisis on Infinite Earths #7, which may just have been significant itself...). In the lead-up to the Flash finale, Barry Allen was facing jail time for the murder of Zoom. 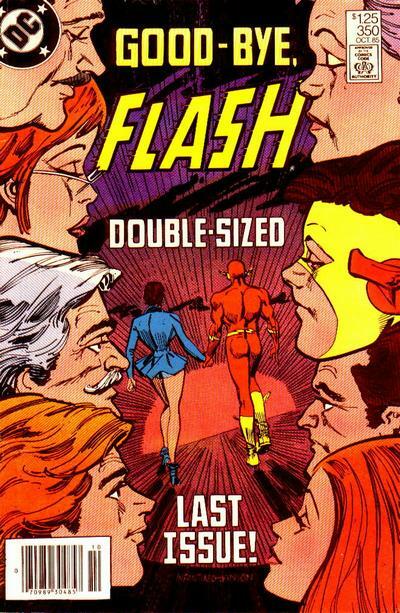 This was quite an overlong story arc, so long in fact that DC Comics recently released it… not as a trade paperback... but as a Showcase Presents Edition. The entire 592-page epic hit in a black and white bookshelf behemoth in 2011. 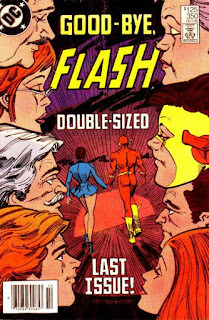 The Trial of the Flash will absolutely have its own Usenet Fandom installments as we roll on. Suffice it to say, it was long and not well-received. 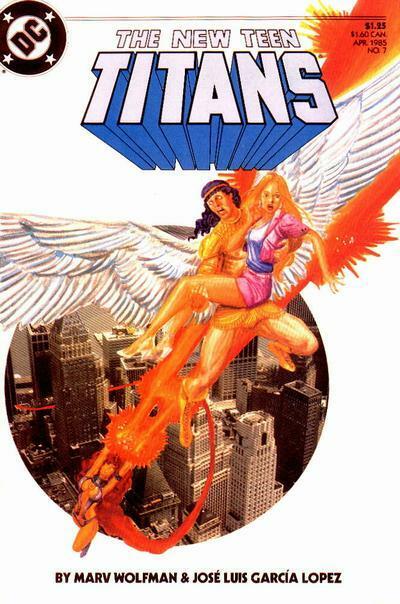 "The kid with the wings" in Teen Titans JF is discussing is likely Azrael. No, not that Azrael. He first made his presence felt during the first year of the "Baxter" series of the New Teen Titans abducting sorta-kinda team-member, Lilith Clay. The two fall in love, though their romance is short-lived. Lilith leaves Azrael behind when she goes in search of her parents. Azrael winds up falling in with the Brother Blood Cult. One must wonder if the two were paired as a play on "Lilith and Azazel". The "wedding issue" Tales of the Teen Titans #50 featured the nuptials of Donna Troy and longtime beau (and milquetoast sap) Terry Long. It was a wonderful quiet issue, and was a celebration not only of Donna and Terry, but of the Titans as a family. From letters columns of the era, it appears that JF is not alone in feeling that running two Titans titles concurrently was a "money hungry" move for DC Comics. 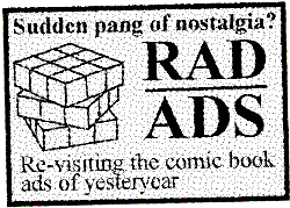 It was, in actuality an attempt at producing Direct Market only fare, utilizing some of their biggest sellers at the time. Along with New Teen Titans, the Legion of Super-Heroes and The Outsiders all received "Baxter" paper upgrades. Rather than leave newsstand fans out in the cold, DC added "Tales of..." to the newsstand titles and ran both simultaneously. The newsstand editions would re-run the Baxter stories for the newsstand crowd one year after their original publication, eventually rendering these titles "reprint only". That’s all for today, but we’ve only scratched the surface. There is plenty more Crisis curiosity ahead. If you have any additions or corrections, please feel free to contact me in care of this web-site. Thank you for reading. *Please note that this post was somewhat heavily edited to omit JF's thoughts on non-DC Comics properties. PLEASE NOTE: All sentences written on this page that aren't italicized were written by Chris Sheehan. If you want to attribute any of this work, please credit Chris Sheehan.